Getting tired of the daily routine traffic in the Metro? Always getting late, and forced to spend long hours away from home for a 9 to 5 job? Wishing that your boss will allow you to work from home? Here are some reasons that you could use to convince your boss to allow you to work from home. Telecommuting allows employees to work at peak performance during hours that they are most productive. Some are comfortable working early, while some are comfortable working at night. It reduces the companies operating costs. Companies have saved almost half a million pesos on electricity alone by allowing some of their employees to telecommute. Allowing work from home jobs increases the level of employee satisfaction. Housewives look for part-time jobs or jobs that are work from home related due to their inability to work in the office while being constantly away from their small children. Working from home means less chances of acquiring illnesses due to commuting or being exposed to possible virus carriers. Employees are less likely to call in sick. Work from home jobs are not much of a problem when it comes to tardiness and because of the non-commute time that employees enjoy, they work far more longer than usual without filing overtime. But before you talk to your boss, consider these things first. Is it a good option? 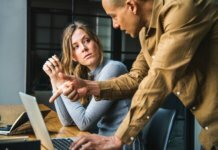 Will you be having problems communicating to those who you work with? 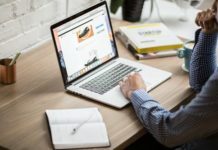 Is a work from home option a good fit for your goals? Writers, graphic artists, telesales people work best with this option. Do you have the technology that will support your work from home needs? Do a test run. Write the pros and cons. Establish a good reporting and monitoring system. Next articleHow Much is the Cost of Working in Makati?